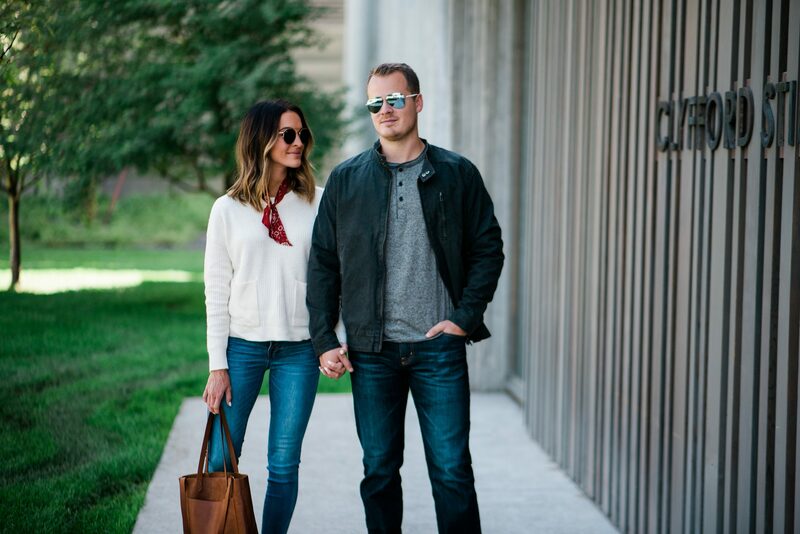 fall basics for him and her! It’s hard to believe that August is nearly over and fall is now upon us! 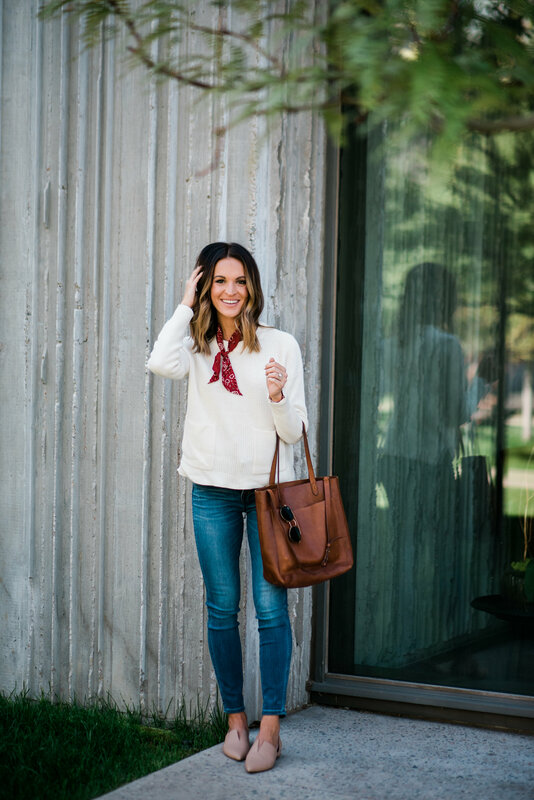 I don’t know about you but this is definitely my favorite time of year, specifically with fashion and shopping. 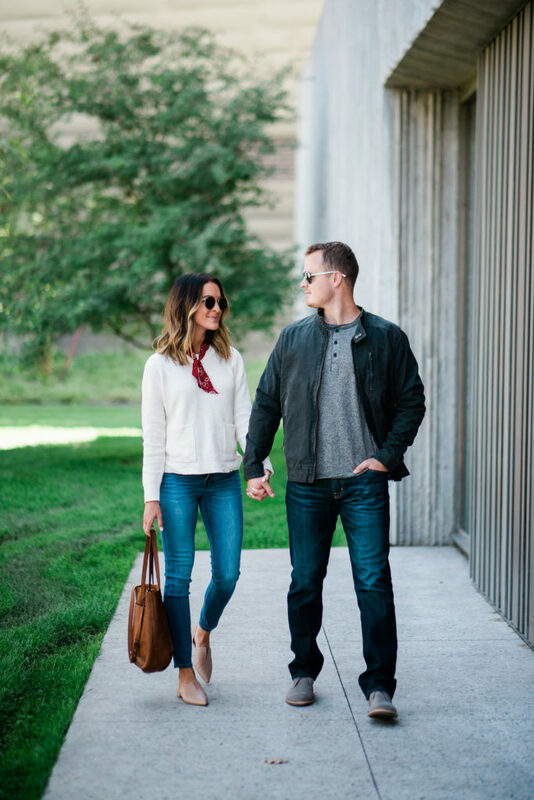 Today I’m going to be sharing some essential fall basics for both him and her, but definitely focusing on HIM! 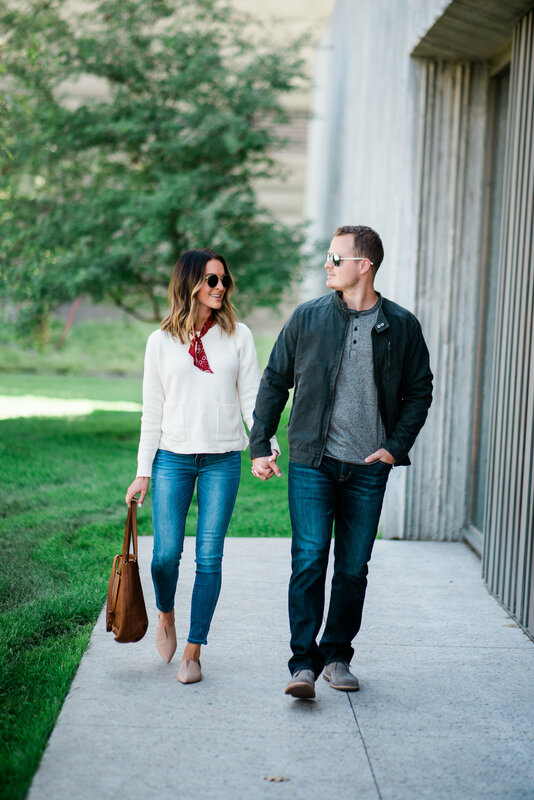 These are items Michael and I have in our wardrobe that we continue to mix and match with different outfits throughout the entire fall season! So let’s talk about some fall fashion for men, and a few of Michael’s staples for fall. I don’t know about your man, but Michael is obsessed with henley shirts. The one he’s wearing in these looks is amazing quality, really soft, and has a great fit. He’s 6 foot and wearing a size large for reference! 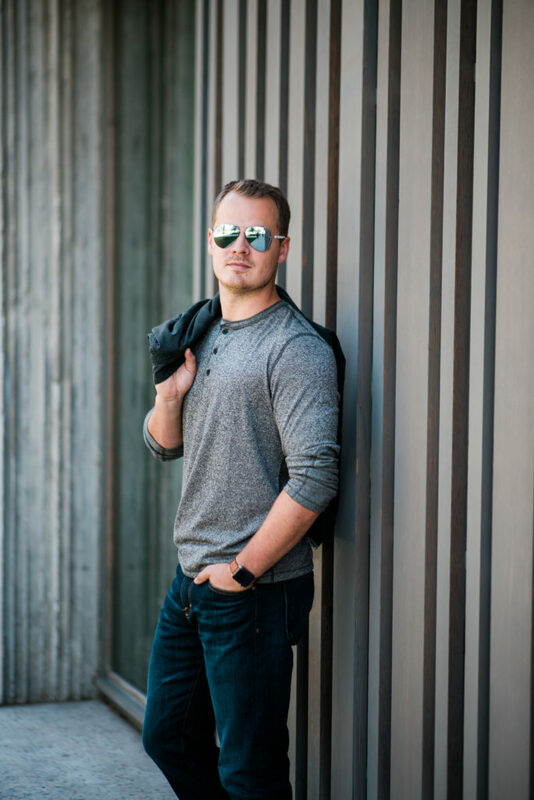 A good henley shirt though is definitely a fall staple when it comes to menswear. 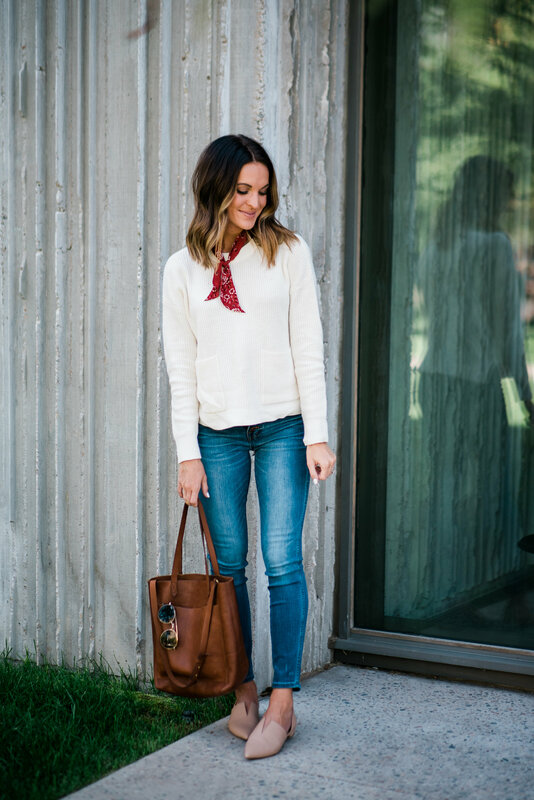 You can layer it under a jacket, or pair it with jogger sweatpants for a more sporty / athleisure look. This jacket was definitely a splurge item for Michael’s fall wardrobe but worth EVERY penny in my (and michael’s) opinion! We love that this jacket is so cool without being too trendy (Michael’s not into over the top trendy pieces). 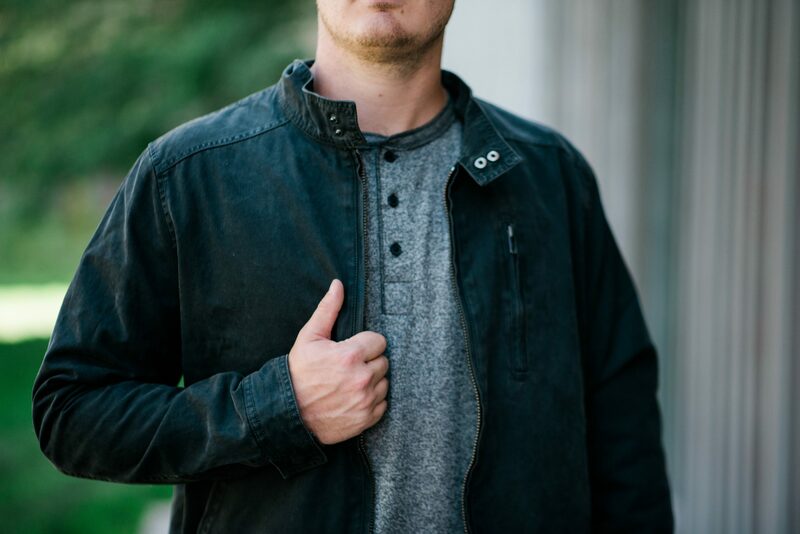 This is a jacket he will wear for years to come, and it’s the perfect weight for those cool fall days. The color goes with everything, and I love the worn wash on it! 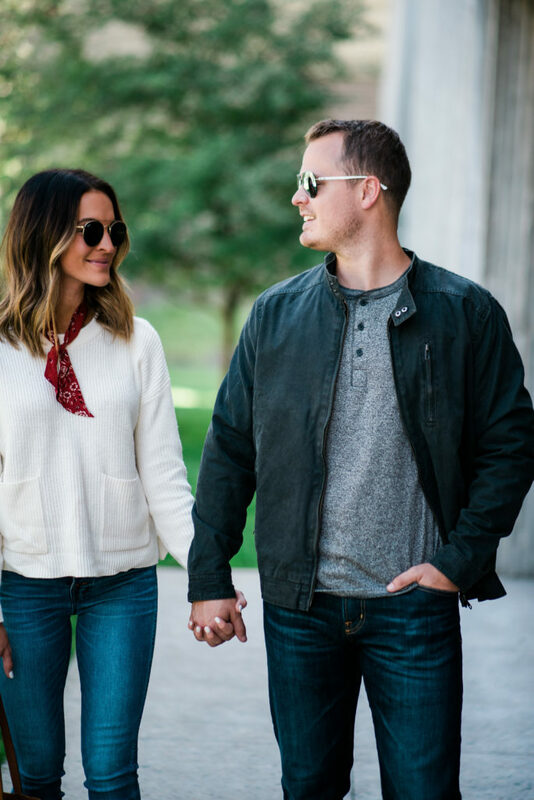 Y’all have heard us rave about AG jeans for years now, and let me tell ya…they are still Michael’s go-to jeans (and mine too!). Michael got his first pair of AG jeans over 2 years ago and they are still going strong / in perfect condition. I think a good pair of jeans for guy’s should be his #1 fall essential! 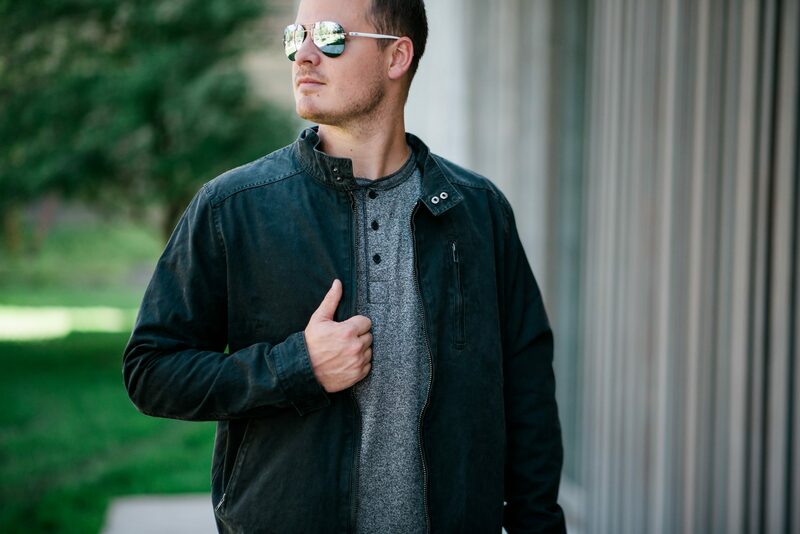 AG is Michael’s favorite because they are super comfortable (he even wears his on planes bc they’re so easy to move around in and wear all day), and the fit can’t be beat. If you get them at Nordstrom, they will also hem them for free! Another one of Michael’s fall staples is a good pair of casual shoes, that can be dressed up or down. 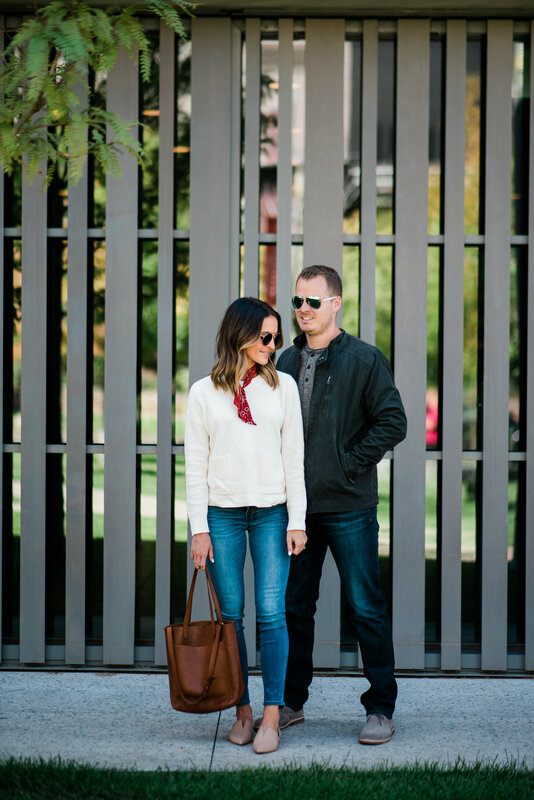 We love these suede boots he’s wearing in this look and they’re under $100! They look great with jeans and a tee for a casual look like Michael is wearing here…but they can just as easily be paired with khaki’s or chinos and a button-down. It’s an all-around great shoe that pairs so easily with anything in your man’s wardrobe! 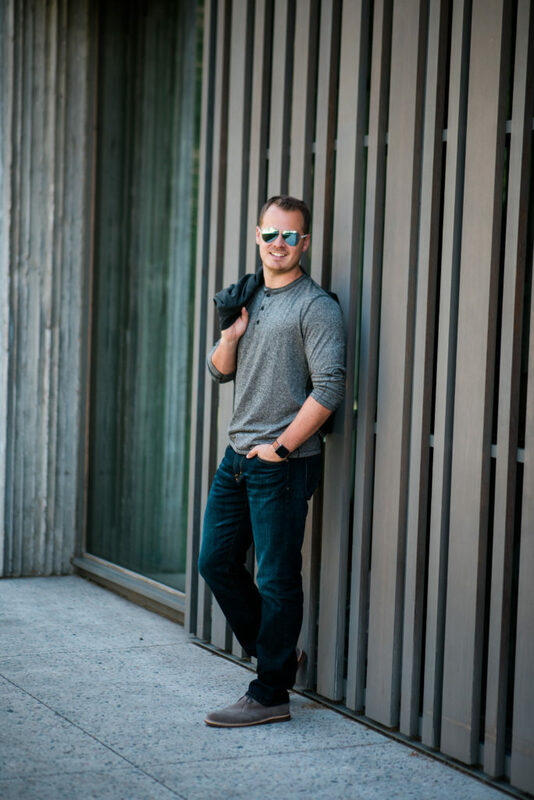 Nordstrom is definitely Michael’s go-to shopping destination, whether he’s needing new professional wear for school (currently getting his MBA), workout clothes, special occasion pieces, or anything in between! We love that it’s such a one-stop-shop and he can get everything, head to toe, in one place. 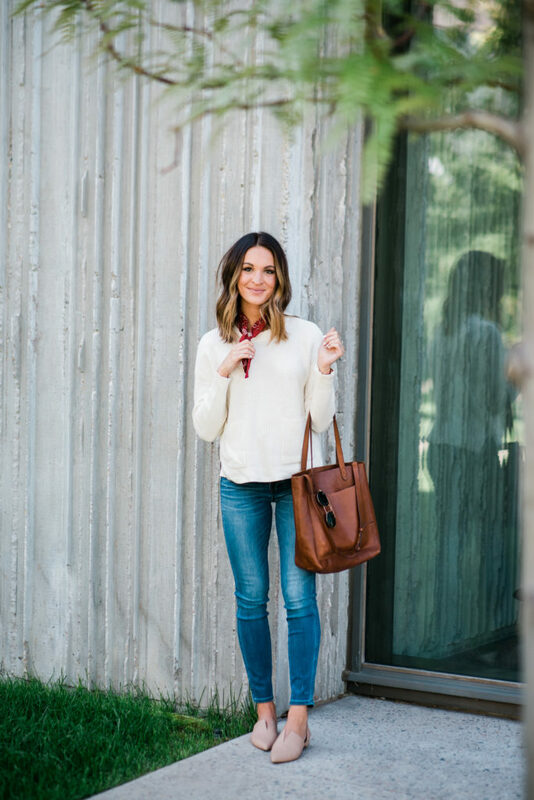 Shopping at Nordstrom is always so fast and easy for us because of their free shipping and free returns, and also the “BOPUS” (buy online, pick up in store) feature that we use all the time! 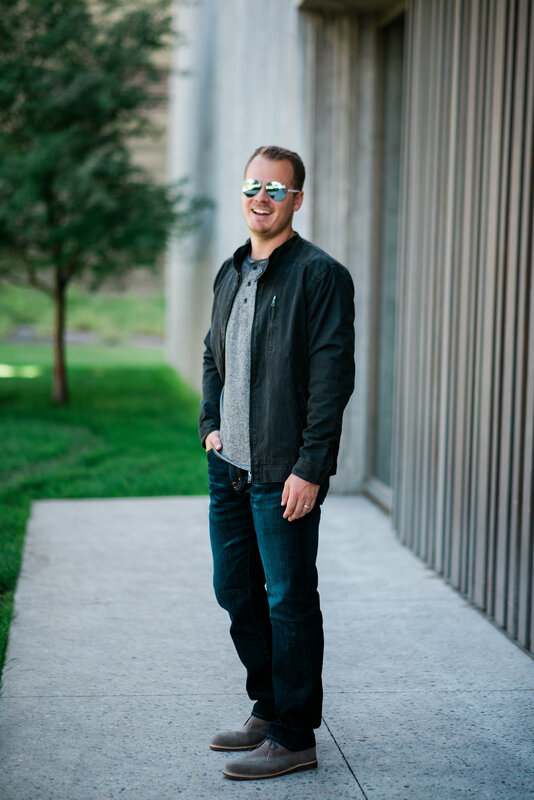 So if your man is needing a wardrobe update – whether that’s for work or vacation or really anything, I highly recommend checking out Nordstrom and promise you’ll be able to find everything you need in one place!